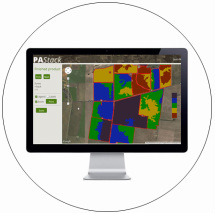 ﻿PA Source offers software and services that take the hard work and complexities out of processing and managing your precision agriculture data. Whether it’s yield data, EM38 data, elevation data or NDVI satellite imagery, PA Source gives you the power to turn it into meaningful and useful data layers that are safely stored and easily viewed from any computer or mobile device – your maps and layers anywhere, any time. No software installation required, all you need is an internet browser. We have aimed for simple and powerful rather than unnecessarily complex and expensive. PASource allows you to store all of your Precision Ag. info in the one place where it can be accessed easily at any time. 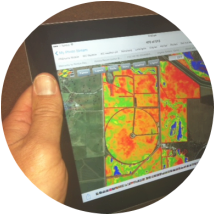 Share your maps and layers with your consultant to centrally manage sampling points and management zones. PASource has been designed to easily integrate into your business, no matter how big or small and provides a suite of services to offer your client base. It takes away the need for time-consuming data cleaning and processing allowing your field staff to spend more time where they should be – in the field. Make your own Biomass maps! A low-cost and easy way to get into precision agriculture. watch.farm uses Sentinel 2 and Landsat satellite imagery to provide you with cost effective, regular, season long NDVI images for your winter or summer crop. We deliver images to you hot off the press, via email, and with pixels half the size of conventional Landsat imagery! ProductionWise (along with PASource, now a part of FluroSat.com) provides an online crop management platform for farmers. Using digital tools to record on-farm activities and operations you will achieve greater traceability, improved accountability and as a result achieve greater yields and profits through smarter farming. “We can now easily upload our EM38, elevation and yield data into PASource for automated processing. With time consuming data cleaning and map creation now out of the equation we have been able to really expand our suite of Precision Agriculture based services we offer our client base. Our clients and agronomists are then utilising the flexibility of the system by accessing and sharing these data layers online”. 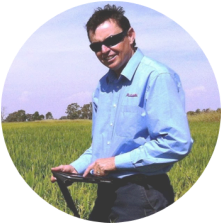 "PASource has enabled me to accurately map my farm and share this with my consultant along with my soil test transects. The ability to upload my raw yield data, as well as elevation information, provides me with a valuable tool for cropping now and into the future, saving both time and money. PASource is also easily accessible and very easy to use."